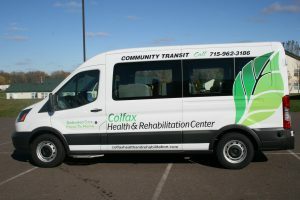 Our mission is to provide affordable and reliable transportation to the community. Our friendly staff will be available for non emergency transports to doctor appointments, shopping trips, events and so much more. Our brand new van is equipped with lifts and ramps to allow wheelchair accessibility. Let one of our friendly drivers give you a lift!